Eddie is a Director with KBKG and oversees the technical operations of its Cost Segregation practice. He is a Certified Cost Segregation Professional (CCSP) with the American Society of Cost Segregation Professionals (www.ASCSP.org). With over 30 years of cost segregation experience dating back to the Investment Tax Credit period, Eddie is one of the most experienced experts in the industry. Eddie currently serves on the Testing Committee of the ASCSP and is a former Chair of the Education Committee. In that position, he led the effort to develop educational courses and exam prep material that ASCSP members utilize before taking industry accreditation exams. He was also instrumental in getting ASCSP qualified by NASBA to provide Continuing Professional Education (CPE) to the CPA community. Before joining KBKG, Eddie founded Fortress Analytics Inc., a firm specializing in cost segregation services. 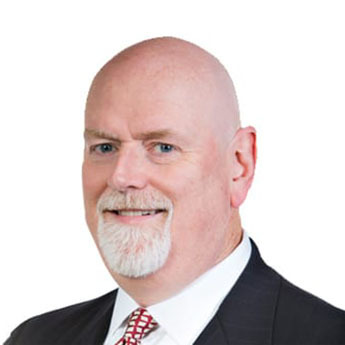 Prior to that, he spent 20 years with Deloitte where he led a regional cost segregation practice and established his reputation in the marketplace as a cost segregation expert. While at Deloitte, Eddie led a team of 16 professionals to develop 36 course hours of cost segregation training. His client service experience includes delivering cost segregation services to some of the largest corporations in the world. He also has significant experience successfully dealing with IRS audits in this area. Eddie graduated from Texas A&M University with a degree in Environmental Design and Masters in Construction Management. About KBKG: Established in 1999 KBKG is a specialty tax firm providing nationwide service. Our firm offers a unique combination of heritage, vision and work. The strength of our firm is in understanding the complexities of taxation and engineering. Over the years we have used our experience and expertise to take advantage of ever changing tax laws for the benefit of our clients. As educators in the field of tax credits, incentives and deductions, we hold numerous seminars for CPAs, attorneys, investment firms, and other real estate professionals.